I used to think being trendy was a bad thing—a sign of someone who lacks individuality or perhaps is fickle. But in a world of rapid change where people are more and more aware of the latest technology, news, and innovation, being trendy—or at least knowing what’s trendy—is almost essential. Why trends? Well, as many of us already know, it’s nearly impossible to accurately predict the future. But we can identify trends, and they can be key to understanding what the future might bring. Identifying and organizing trends helps us think about the changes happening in the world and the potential effects they will have on our future. 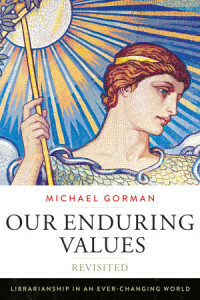 (See Edward Cornish, Futuring: The Exploration of the Future, World Future Society, Bethesda, Md., 2005.) Awareness and understanding of trends can help us actively plan for our own work and for the work with the communities we serve, open new opportunities to innovate and experiment with and within these “currents” shaping society, and better enable us to envision the integral role we can play in the future. ALA’s center is modeled on the American Alliance of Museums’ (AAM) very successful Center for the Future of Museums (CFM), which promotes social, technological, political, and economic trends to its members and high­lights the many ways that museums are innovating within those trends. CFM and its founding director, Elizabeth Merritt, have used their popular blog (futureofmuseums .blogspot.com), Dispatches from the Future of Museums e-newsletter, and annual TrendsWatch report, to help members and the general public think proactively about what the museum might look like and what they could provide in the next 10, 50, or even 100 years. AAM’s and Merritt’s work continue to inspire and influence the Center for the Future of Libraries, and we benefit from their support and expertise. Many libraries and librarians have already proven their exceptional ability to spot trends and integrate them into their programs and services. But even the best of us can be overwhelmed by the pace of change, the amount of information, and the multiple sources and sectors from which we piece together our understanding of trends. 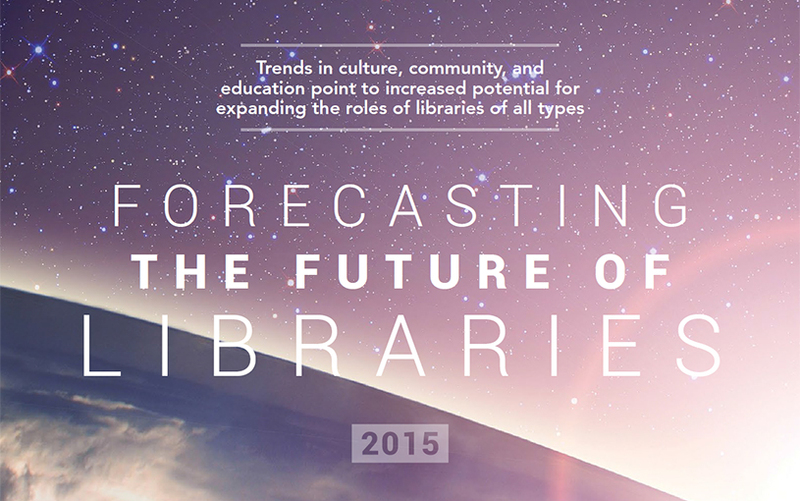 This special section focuses on some of the key trends shaping libraries. 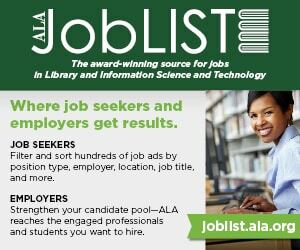 It pairs with American Libraries’ an­nual coverage of the ALA Emerging Leaders. These librar­ians are, after all, representative of a new wave of library leaders who will help shape our futures—and likely have already contributed to, influenced, or led the trends that we will cover. The first piece, “Trending Now,” is a quick introduction to the Center for the Future of Libraries’ “trend library.” The trend library is designed to provide the library community with a centralized and regularly updated source for trends—including how they are developing; why they matter for libraries; and links to the reports, articles, and resources that can further explain their significance. As a collection, it will grow to include changes and trends across society, technology, education, the environment, politics, the economy, and demographics. Keeping up to date with changes in education is impor­tant for all of us but especially for those of us working in academic and school libraries. Joan K. Lippincott shares her thoughts in “The Future for Teaching and Learning” on how academic libraries can leverage growing interest in active learning, new media and information formats, and technology-rich collaborative spaces within the higher education environment. 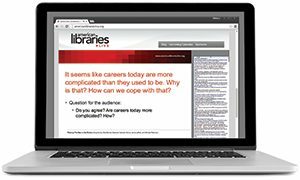 There is news from two library science programs’ ini­tiatives exploring what’s ahead in library education, in “The Future of the MLIS.” This focus on the education of librarians is important for all of us.